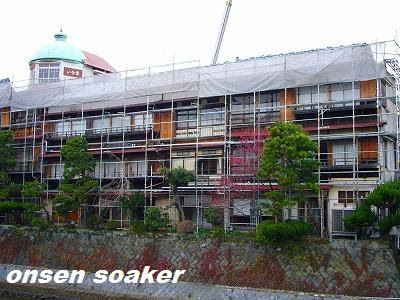 onsen soaker: Old ryokan to reopen as hostel, Ito Onsen, Shizuoka Pref. Old ryokan to reopen as hostel, Ito Onsen, Shizuoka Pref. A closed down ryokan in Ito Onsen, Sizuoka Pref. will come back as a backpackers' hostel this summer or later. But it's under renovation right now and will open again under K's House, the biggest backpackers' hostel chain in Japan. Too early to say "Welcome back"? [Update] The Ryokan Inaba reopened as "K's House Ito Onsen" on August 1st, 2010. 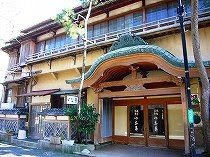 Ito Onsen - located upper east coast of Izu Peninsula, is easy to access from Tokyo by train. Direct Express Train "Odoriko" serves between Tokyo and Ito, taking about an hour and 45 minutes. You can walk to Inaba (K's House Izu Ito Onsen) in about 10 minutes from the Ito Railway Station.